Because these lands include a variety of different habitats and range from Alaska to Puerto Rico and Hawaii to Maine, it is difficult to make generalizations about their impact on birds. But if one focuses on specific types of birds, the results can be both illuminating and surprising. For example, some of the birds that spend the least amount of time on land benefit the most from federal public lands. 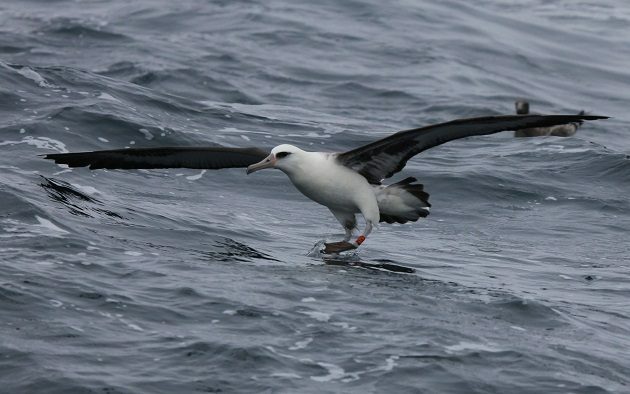 Many birders have braved inclement weather and seasickness to observe seabirds (here defined as Procellariiformes, also known as “tubenoses”) from a bouncing boat miles offshore in the Pacific Ocean. Although some of the most popular Pacific pelagic trips depart from Monterey Bay in California, there are also regular trips out of Half Moon Bay, California; Newport, Oregon; and Westport, Washington. The target birds tend to be similar. Of course, in addition to seabirds, pelagic birding trips target many other birds, including phalaropes, gulls, skuas, murres, auklets, murrelets, jaegers, etc. Laysan Albatross: A relatively uncommon sight on pelagics, virtually all of the world’s Laysan Albatross breed in the Northwestern Hawaiian Islands, primarily on Laysan Island in the Hawaiian Islands NWR and on Midway Atoll NWR. A few breed on the main Hawaiian islands, including Kilauea Point NWR on Kauai. Black-footed Albatross: The most common albatross off the west coast, virtually all of the world’s Black-footed Albatross also breed in the Northwestern Hawaiian Islands, on the same islands as the Laysan Albatross on Hawaiian Islands NWR and Midway Atoll NWR. Due to concerns about ocean rise on low-lying atolls and islands, a few albatross chicks were recently translocated to James Campbell NWR on Oahu. Northern Fulmar: Approximately half of the North American breeding population in the Pacific Ocean breed in Alaska, with the remainder in northern Canada. Most of the key breeding locations in the U.S. are remote islands that are part of the Alaska Maritime NWR. Hawaiian Petrel: A rarity on west coast pelagics, the endangered Hawaiian Petrel is endemic to Hawaii and breeds at just a handful of locations, including within Haleakala NP on Maui and Hawaii Volcanoes NP on Hawaii. A handful of Hawaiian Petrel chicks were recently translocated to Kilauea Point NWR on Kauai. Ashy Storm-Petrel: Approximately 50% of the world’s Ashy Storm-Petrels breed on Farallones NWR, a group of rocky islands 30 miles from San Francisco’s Golden Gate Bridge. Channel Islands NP, also in California, supports most of the other 50%. Fork-tailed Storm-Petrel: Fork-tailed Storm-Petrels are found in the North Pacific, most abundantly in Alaska. The overwhelming majority of breeding locations are on islands in the Alaska Maritime NWR. There are also smaller breeding colonies in Washington and Oregon, including Oregon Islands NWR. Because they are nocturnal burrow-nesters, precise numbers are unknown. Naturally, many wide-ranging seabirds breed in other countries along the vast Pacific, including: Sooty Shearwater (Chile and New Zealand), Pink-footed Shearwater (Chile), Buller’s Shearwater (New Zealand), Flesh-footed Shearwater (Australia and New Zealand), Wilson’s Storm-Petrel (Chile and Antarctica), and Black Storm-Petrel (Mexico and small numbers in California). All only spend a small—albeit critical—portion of their lives on their breeding grounds. They spend most of their lives in or above the Pacific Ocean, where many benefit from a network of National Marine Sanctuaries managed by the National Oceanic and Atmospheric Administration (NOAA). 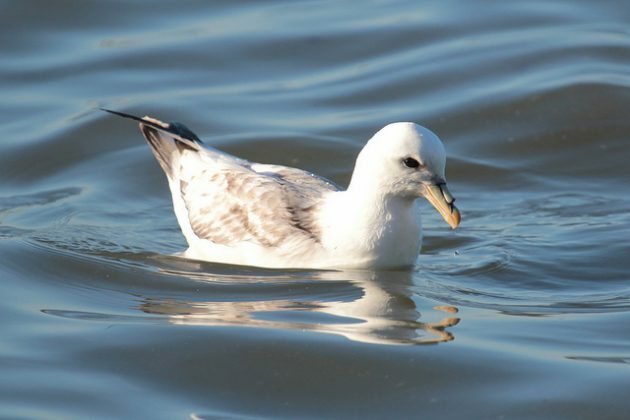 Although not federal “lands,” these federal marine protected areas—Channel Islands, Cordell Bank, Greater Farallones, Monterey Bay and Olympic Coast—provide critical foraging areas for seabirds. These sanctuaries include some of the most productive waters in the Pacific. Further west, other sanctuaries include additional protected waters, including the enormous 580,000 square mile Papahanaumokuakea Marine National Monument in Hawaii. 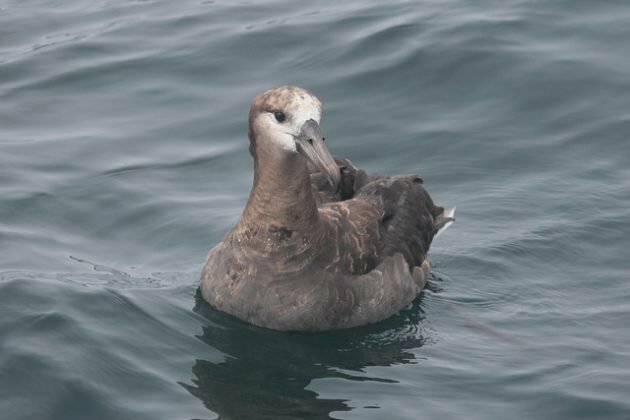 Collectively, these federal lands and marine sanctuaries are of critical importance to many of the seabirds seen on pelagic birding trips in the Pacific. However, seabirds tend to breed on remote islands that are not subject to the economic conflicts that exist for other habitats. For example, although not far from some of the nation’s priciest real estate in San Francisco, there are no proposals to sell the Farallones to the state of California. Thus, most of these federal lands are at minimal risk of being sold to states or private interests. Nonetheless, these places demonstrate that even birds that spend only a tiny fraction of their lives on land benefit enormously from federal public lands, making them significant to birds as well as birders and conservationists. Thanks to Alvaro Jaramillo for helpful comments on an earlier draft. Photos: (Laysan Albatross, Black-footed Albatross and Northern Fulmar) by Jason Crotty. The albatross photos are from pelagic trips out of Half Moon Bay by Alvaro’s Adventures and the Northern Fulmar photo was an unusual event—the beaching of a a blue whale carcass—that brought hundreds right up to the shore (video here), also near Half Moon Bay.